PRODUCT DESCRIPTION: Liquid that is added to water and sprayed out to kill unwanted grassy/broadleaf weeds. This formulation does a good job of targeting undesirable weeds like crabgrass, dallis grass, weedy fescue, goose grass, etc. 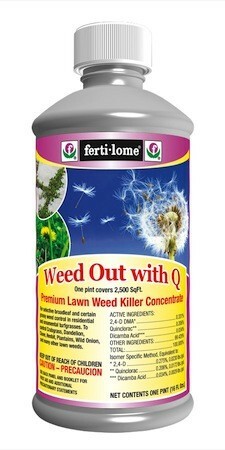 It also works on a wide range of broadleaf weeds including dandelion, clover and over 200 other nuisance weeds. 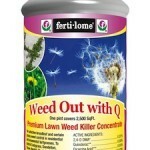 Use it safely over most any grass except St. Augustine and Centipede. WHERE TO USE IT: Though it can be used in many areas, Weed Out is most commonly used in turf grass since it's safe to use on so many grass species. RATE OF APPLICATION: 2.5 oz per gallon per 400 sq/ft of turf. Pints will treat up to 2500 sq/ft.